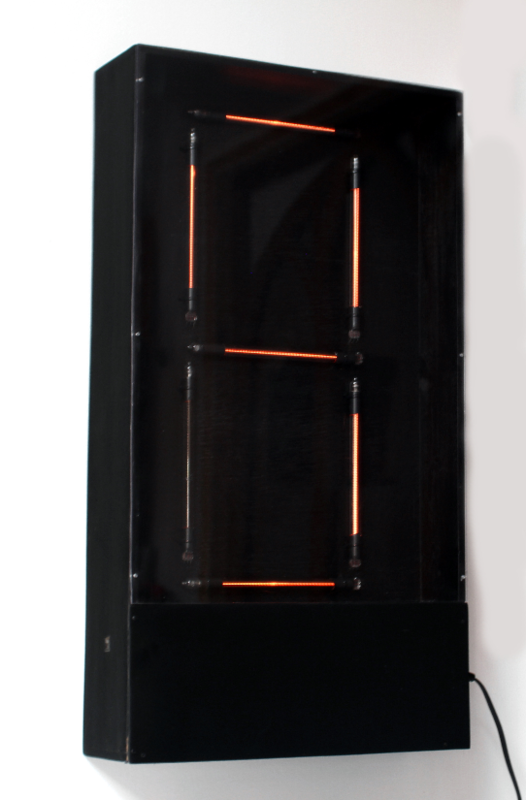 A few years ago, Jon Ellis designed a giant single digit 7 segment clock using Russian neon filled bargraph tubes. A number were sold by Jon and the clock can be seen here operating on YouTube. I decided that it would be fun to make my own version. 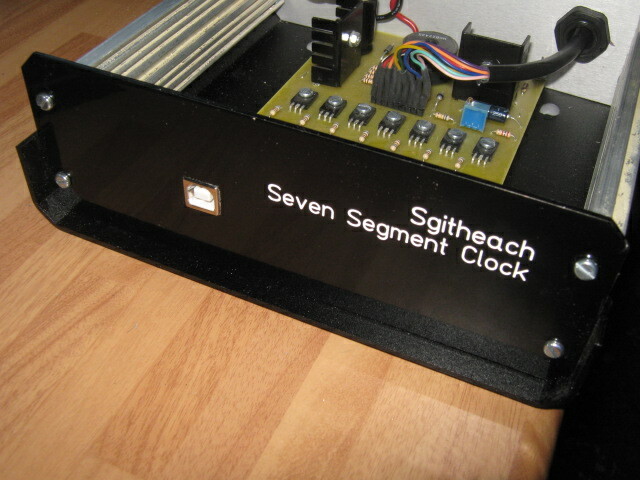 This clock uses an Atmel atmega168 AVR as the workhorse, a DS1307 clock chip and a simple USB serial connection for setting up the clock, setting the time, choosing the options required and so on; more on this below. I'm not going to describe how these baragraph tubes work as there is plenty of information on the web such as here. 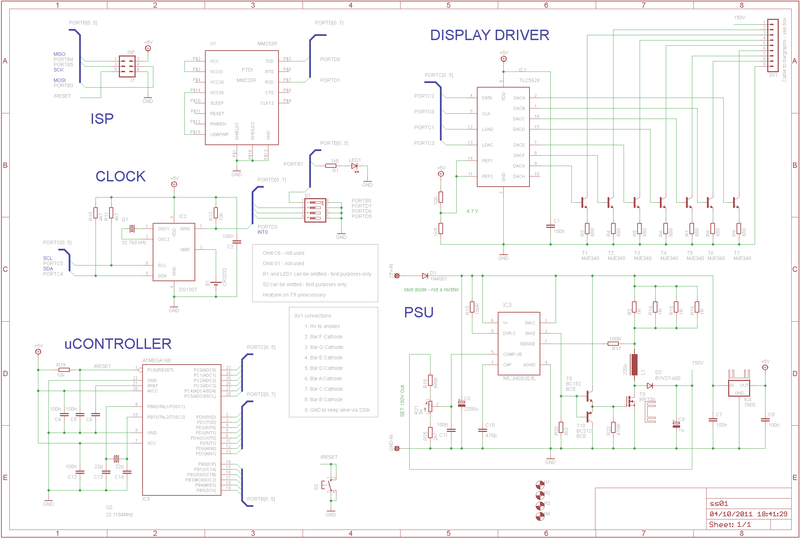 The transistor driver I use in this design is from this information sheet. Note that I use the IN13 tubes which have a third "keep alive" or "primer" electrode and a lower current requirement than the IN9 tubes. Revision 1 (11-12-2012): Full source code written for GCC-AVR C compiler available for download. The Eagle files can be downloaded here. Or right click on these images to view or save them. 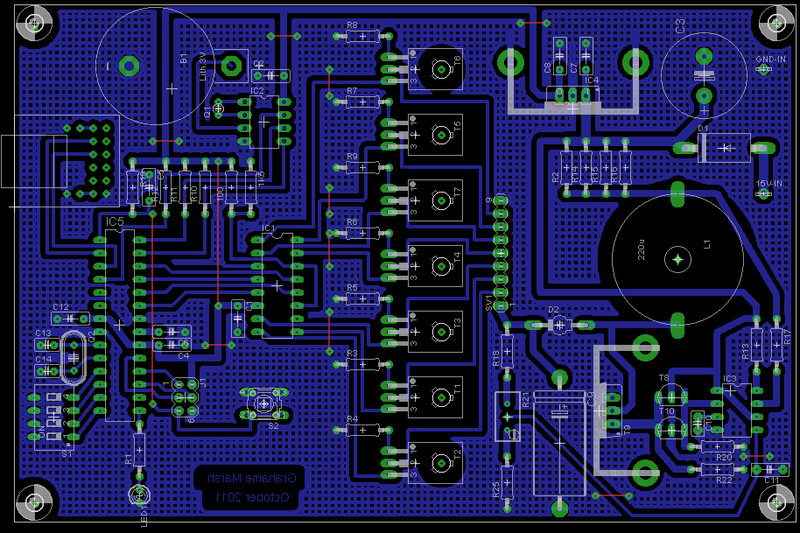 The PCB design is based on a single sided 100mm x 160mm board shortened slightly to fit the case I'm going to use. 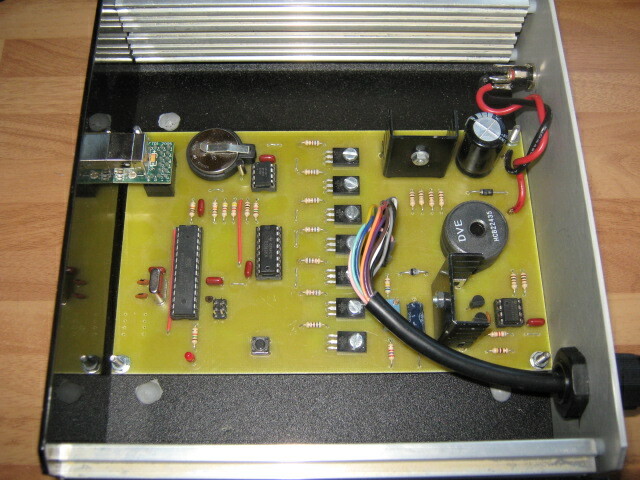 The built clock is in three parts: a standard wall wart PSU giving 12-15 VDC (no more to say), a box containing the clock PCB and the wall mounting 7 segment display unit. The front panel of the box as bought as part of the case is aluminium, originally I intended just to paint the supplied panel myself and have no lettering. 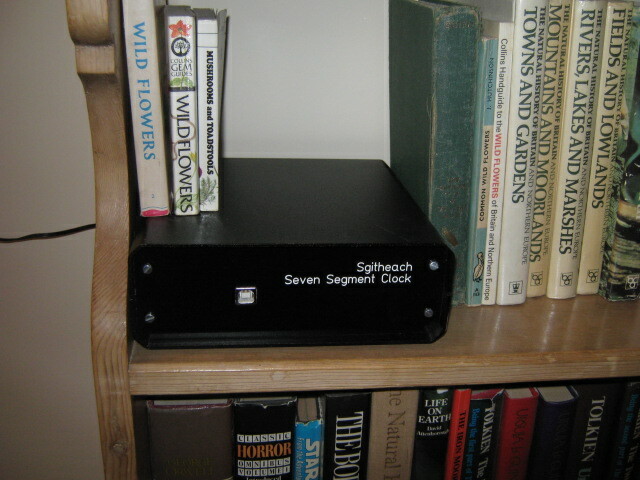 I wanted to give a good appearance, so I designed a front panel which was black powder coated, engraved and white filled. 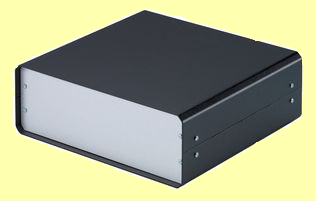 Contact me if you want more information on the panel design and its manufacture. The back panel is the plain, unadorned aluminium. 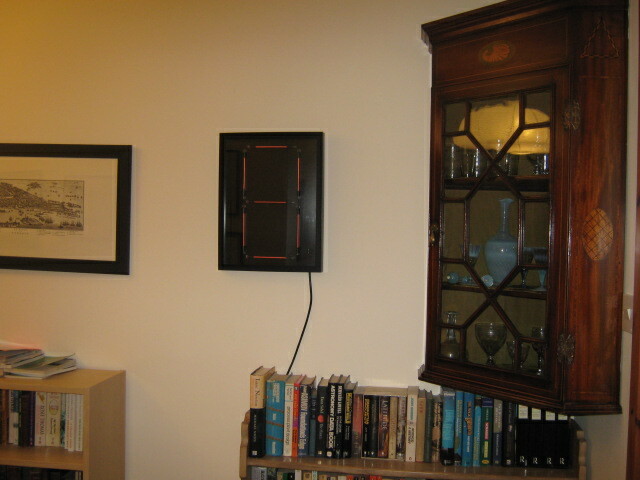 See the picture gallery below for the case with the board and panel fitted. For the display, I adapted a 30cm x 40cm RIBBA picture frame from Ikea. This frame is deep enough to put a 1cm spacer between the glass and the mdf backing sheet. The spacer and the mdf sheet were all sprayed matt black. 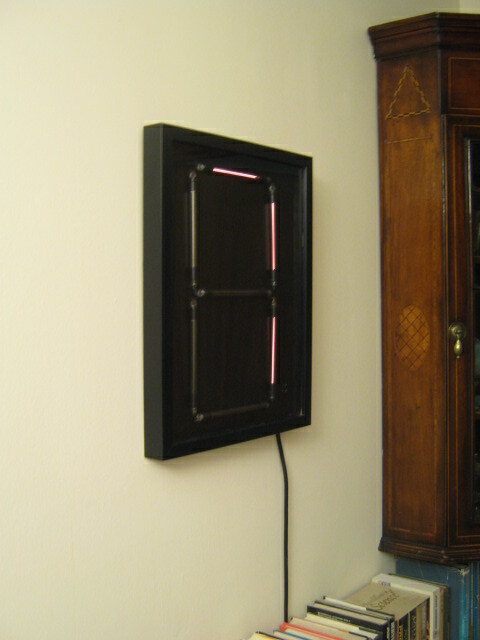 The bargraph tubes are mounted using black cable ties and the three electode wires taken through to the back of the mdf sheet. I used black electrical tape to mask the "keep alive" electrode glow. 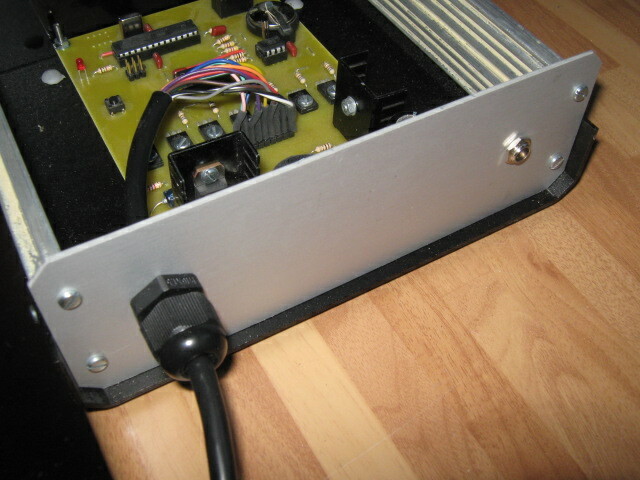 The back of the display panel carries the wiring and the 220k current limiting resistors for the "keep alive" electrode connection to ground (one per tube). I bought some 10 core cable (black outer of course) and used 7 cores for the bargraph cathodes, 2 cores for the HV for the common anode supply and 1 core for the common ground connection to the resistors. The end result was a bit of a bird's nest to be honest; but an out of sight bird's nest. See the picture gallery below for the finished frame. The executable, source code and fuse settings can be downloaded here. This version automatically corrects for GMT/BST change over using European rules. It would be easy to add other rules - contact me if you are interested. The code accepts a series of commands from a PC which can then be unplugged until changes are wanted. The commands that alter the clock display are saved into the NVRAM in the clock chip so are preserved if you turn the clock off. Commands can be upper or lower case, or mixed case - the code doesn't care. The following command take an optional parameter. Using the command without the parameter will return the current setting. Parameters can have extra spaces and when multiple parameters are required they are comma separated and can have extra spaces. There must be at least one space between the command and the first parameter. The time keeping crystal is far from perfect and you will find the clock slowly gains or looses time. This is an adjustment that is made once per day (at midnight) by adding or subtracting a few seconds. So when you first run the clock, run it for a couple of months and note how many seconds the clock looses/gains and work it out as a whole number of seconds per day. The main influence is temperature so run the clock where it is finally to hang. This will set the date to this value - there is no error checking so DATE 54-12-8765 will go in and the clock will try to use it! The date is never displayed, it is just used for the automatic BST/GMT conversion. DISPLAY ABCDEDFG- will draw are the bars simultaneously. 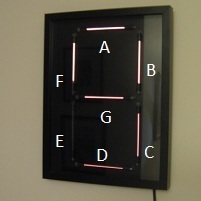 DISPLAY A-BF-G-CE-D- will draw the bars top down. DISPLAY EF-ADG-BC- will draw the bars left to right. DISPLAY A-B-C-D-E-F-G- will draw the bars in a clockwise circular manner (I find A-B-C-D-E-G-F- slightly more pleasing). The sequence is not error checked - if a bar is missing it doesn't get drawn, if the trailing - is missing then the bars before it don't get drawn, any other letter or character is ignored. The command maxiumum length is 14 characters (A-B-C-D-E-F-G-). The character order ahead of a - is irrelevant so ABCDEDFG- and GFDCABE- are identical in function. This is the order that the bars are cleared. Just like the DISPLAY command with the exception given below. this looks good as the characters turn into each other with bars being erase if not required and drawn if required. But it does look odd for times like 9:44 as the 4 and 4 have no transition between them 11:11 and 22:22 are the oddest of all… but the clock is supposed to be provocative as well. Force GMT only to be displayed or automatically switch GMT to BST depending on the date - EU rules. This will mean the display will show from 6:30 to 22:45 - the time is current display time show will change with the BST/GMT change as well. The format must be in 24 hour (obviously).. Only the bars will not illuminate, the stay alive electrodes stay lit. The five parameters are all times in mS and can take values 0 to 10000 (ie 10 seconds). 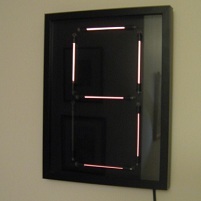 display - time take to draw the bars, note that this is the time for each stage of the drawing, so A-B-C-D-E-F-G- will have a draw time for each of the bars illuminated. A value of 0 means the bars appear instantaneously. A value of 10000 is tedious beyond belief. I find values about 100-1000 (depending on the DISPLAY sequence) look dynamic enough. Set the clock time. This must be 24 hr and in GMT. Seconds is set to zero by the command. The TIME command itself reports clock seconds so the clock error (see ADJUST command) can be measured. The values are not check so you can enter a time like 56:89 and the clock will try to run using it. Show a 0 if the 10 hrs is zero.